Glitz and glamour was the order of the day at the skin cosmetics launch. We recently attended our very first beauty launch of the year which turned out to be more than what we expected. Beauty company Skin Cosmetics held an intimate gathering at Alice & Fifth Nightclub in Sandton. The event was not short of amazing as it was packed with the who’s who in the beauty industry to learn more about the much anticipated makeup master class. Celebrated artist and trainer Erik van Hulten delivered an impressive presentation in collaboration with beauty giants ELLIS FAAS Cosmetics and make up brand Laura Mercier. Amongst the guests, we spotted influencer and digital strategist Siyanda Dzenga looking elegant as always. The local beaut looked like she just stepped out of a runway in a tasteful floral number that gained her social media likes. You can’t argue with her beauty right? Another bold guest that didn’t shy away from the camera is trendsetter Kgosi Modisane who brightened up the room with his colorful choice of clothing. 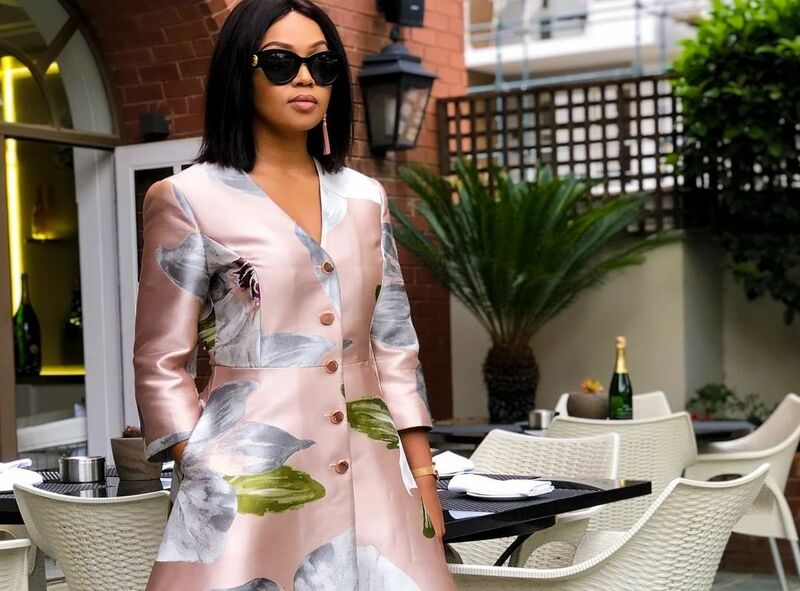 Stylist and yummy mummy Tshepi Vundla was also in attendance and as usual, the stunner was all smiles for the camera while striking her famous pose, while beauty content creator Mihlali Ndamase looked puuurfect in a leopard print two-piece from Blue Chic SA. This master class was not meant to be missed and turned out to be well documented. Use what makes you unique. Bright eyes and a bold lip are fine at the right occasion. Which beaut do you think brought her A-game?